As a child, I was rocked to sleep on my Granny’s knee to the Carter family singing gospel hymns. My Granny, with her thick mountain accent, would belt out the age old words along with them as she tapped out the rhythm on my back. On Saturday nights, The Grand Ol’ Opry would be on television and my Granny would point out June with her autoharp and say “See? That’s June. That’s Maybelle Carter’s girl.” She was just as proud of the Carter sisters as if they were her own children. This past Saturday at The Factory in Franklin, Maybelle’s girl June’s clothes were the main event with A Vintage Affair’s 'A Fashion Affair.' June had an eye for fashion. She would wear what she liked, especially when it came to hats. During a runway show, petite size models with big hair, in the styling of June’s, walked her hats and furs down the runway. Some of the hats were huge, some were made of fur, and all were fabulous! Some of the most unforgettable pieces were her lingerie pieces, which were long, flowing, silk nightgowns and robes trimmed in lace. As the gowns were walked down the runway, they would twist and swirl around the models' ankles as if the spirit of June was still gathered there and dancing and twirling along with them. “She has saved my life more than once. She's always been there with her love, and it has certainly made me forget the pain for a long time, many times. When it gets dark and everybody's gone home and the lights are turned off, it's just me and her." There seemed to always be two sides to the man in black. You had his past filled with demons that haunted him and tried to keep him down, and you had the side that was renewed by June and her roots in religion. 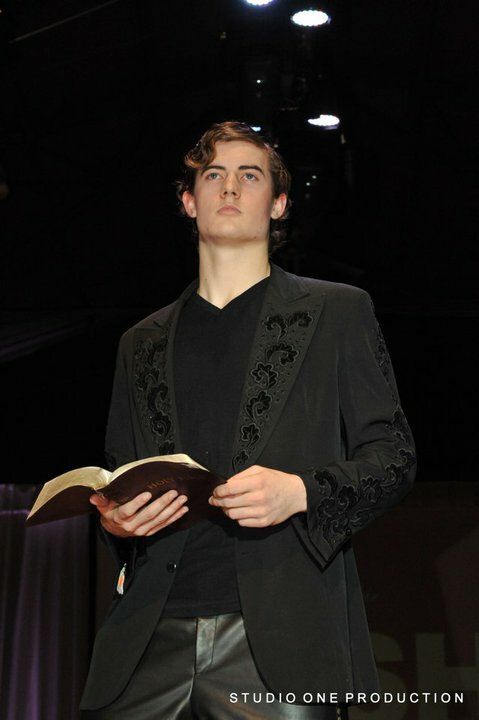 The two sides came together in a chilling runway walk with male models stomping down the runway with open family Bibles, as the pages of the Bibles flipped back and forth with a quickness and electricity. 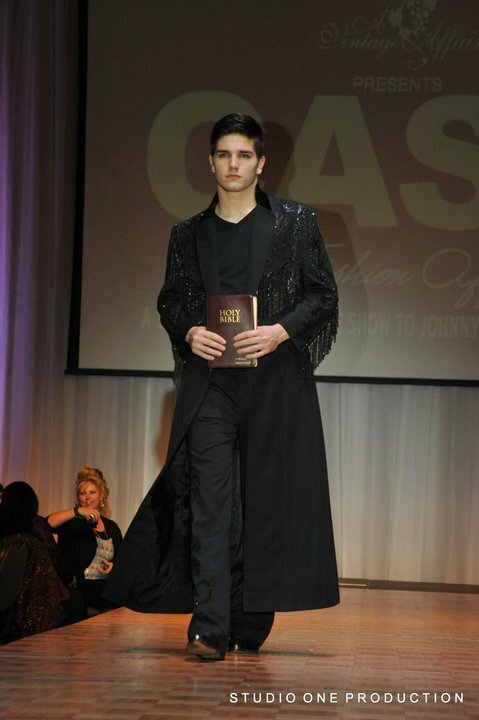 The male models were dressed in Johnny Cash inspired pieces; Manuel designed black duster coats, that were decorated with hand-sewn sequins. A Vintage Affair, the organization that hosted the event, is a non-profit organization that is dedicated to raising money for Williamson County charities benefiting women and children in need. A few of the 2011 beneficiaries of Saturday’s event were the Neonatal Intensive Care Unit at Williamson Medical Center, Mercy’s Children’s Clinic, and My Friend’s House; which was fitting, being as the Cash family has been long time supporters of charitable organizations with children in mind. One such organization is SOS Children’s Villages, which helps in the aide and protection of orphaned and abandoned children. Johnny and June were so moved by this organization that they donated property and financed the construction of a family house in Jamaica. In 2004, Roseanne Cash accepted the SOS Children’s Champion Award on behalf of her father. The runway show finale was perhaps the greatest highlight of the night. 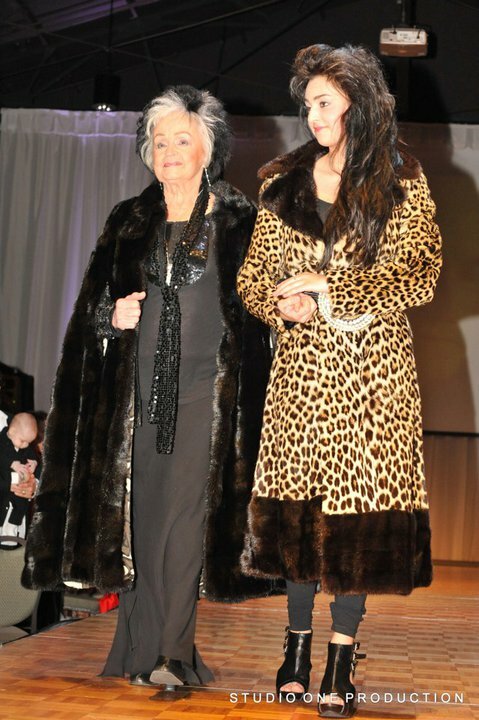 As the video to the Johnny Cash cover of the song ‘Hurt’ played on the screen behind them, Joanne Cash, Johnny’s youngest sister, walked hand in hand with her granddaughter Fallon in a black mink coat that came to the floor. The audience, almost in unison, silently rose to their feet. It was the past meeting the present, holding the hand of the future for the Cash family. For fans of Johnny and June, this moment packed an emotional punch.